New for 2019! Fantastic value Festival Kit! Early bird discount until April 1st. 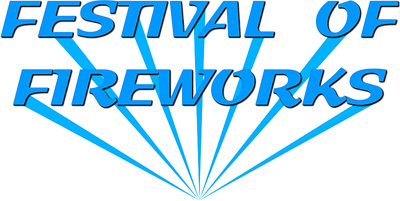 Let us help your Festival day go even more smoothly with this superb set of event necessities. 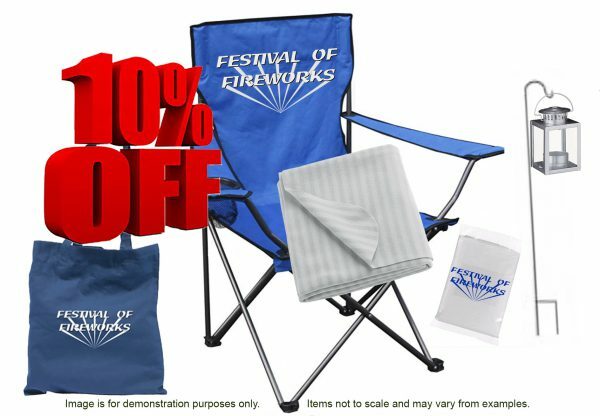 1 fold-out Camping Chair, 1 Blanket, 1 Tote-Bag, 1 Lantern with LED ‘tea-light’, 1 Lantern Crook, and 1 Poncho! A perfect package for a fantastic day. 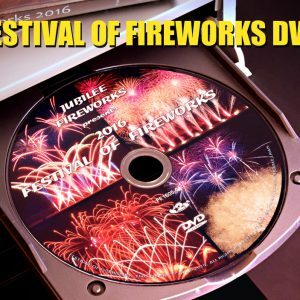 Plus a £2.00 money-off voucher towards the 2019 Festival of Fireworks DVD when you pre-order it on event day (at the Information Point). 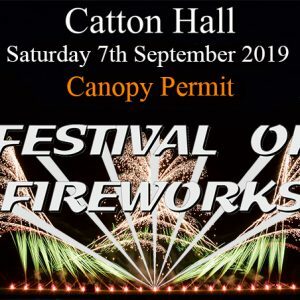 Purchase your Festival kit now, and conveniently collect it at the Information point on event day, just metres away from the arena!